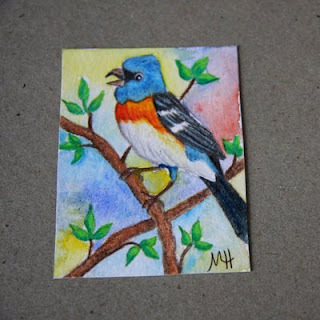 It is titled “Lazuli Bunting”. What a wonderful addition he has made to my small collection of ACEOs. 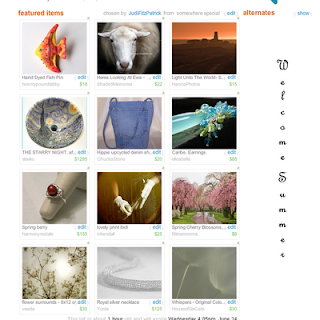 I hope you will check out Marlene’s shop to see all the other wonderful work available there. Other exciting news, last night I was able to “snag” another treasury. Here’s a screen shot to tempt you to go looking You can find the real deal here until Wednesday at 4:05PM EDT. If you have an account on Etsy, please don’t forget to “Click-n-Comment” . Thanks! Judi...just wanted to let you know my flowers are finally posted.